Join us as we sit down with top gear manufacturers to hear all about the latest and greatest new product releases. 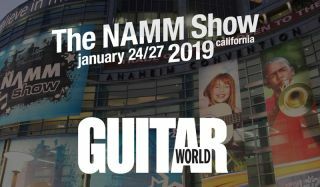 This week, musicians and instrument manufacturers from all over the globe will descend on Anaheim, CA for the annual NAMM Show — the world’s largest trade-only event for the music products and pro audio industry. As always, Guitar World will be on-hand to make sure you're up to speed with everything going on.